There are, at least, three bands known as 2AM. 1) 2AM is a South Korean four-member ballad boy band under JYP Entertainment. The members are Jung Jinwoon , Jo Kwon, Im Seulong, and Lee Changmin. 2AM is one of the two subgroups branched out from the eleven-member (before Jaebeom's departure) boy band One Day, the other being 2PM. They officially debuted on July 11, 2008 on KBS's Music Bank, performing their debut song "This Song". 1) 2AM is a South Korean four-member ballad boy band under JYP Entertainment. The members are Jung Jinwoon , Jo Kwon, Im Seulong, and Lee Changmin. 2AM is one of the two subgroups branched out from the eleven-member (before Jaebeom's departure) boy band One Day, the other being 2PM. They officially debuted on July 11, 2008 on KBS's Music Bank, performing their debut song "This Song". They won their first Mutizen at Inkigayo on February 7, 2010 with "Can't Let You Go Even If I Die". On October 26th, 2010, they released their first full-length album titled "Saint O'Clock". 2AM are currently busy promoting "You Wouldn't Answer My Calls" and "Like Crazy"
2) A band from Dundee (Scotland) who's basis for music is to create music they like the sound of rather than copying any of of their influences. The name stems from the hour you clamber home at and your so tired that a mellowed out sound is whats needed. 3) A band from Northern Virginia. In the summer of 2003, Matthew Scarborough, a singer/songwriter from Northern Virginia, compiled a group of talented fellow musicians in order to record a solo E.P. of some original material. The four quickly recognized their musical chemistry; 2AM (under the name of MSB at this point) was born. They recorded their debut album, Optical Delusions, in January of 2005. 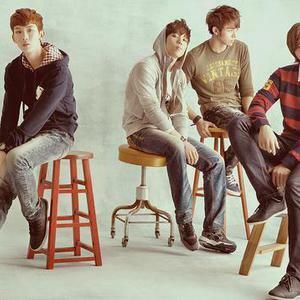 The current lineup of 2AM looks forward to continued songwriting, recording, and performing, beginning with a tour around the east coast during the summer of 2006. The band features Matthew Scarborough (vocals / keyboards), Albert Dwan (vocals / guitar), Ben Kuebrich (vocals / bass), and Jim Mattingly (vocals / drums).